This is The Wichita Falls Family Law Podcast, with Attorney Richard Sutherland. We talk about Texas divorce and family law. 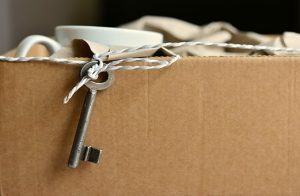 This month’s topic is geographic restrictions and when those restrictions may be lifted to allow for relocation. What are the reasons parents ask the court to lift geographic restrictions? Today we are focusing on what happens when life happens, and parents want and or need to move. First, understand that the Texas Family Code follows public policy of the state to assure that children have frequent and continuing contact with parents who have shown the ability to act in the best interest of the child, meaning that they provide a safe, stable and nonviolent environment for the child. Texas public policy encourages parents to share in the rights and duties of raising their child after the parents have separated or dissolved their marriage. Texas courts imposes geographic restrictions until the child reaches the age of 18 and the court no longer has jurisdiction over the child, or when the non-custodial parent or conservator no longer resides within the geographical area imposed by the court. The geographic restriction may also be lifted when the custodial parent files a petition to modify the order which granted the restriction. There are several reasons that a custodial parent might have to seek to life the geographical restrictions to allow for relocation. Listen to the podcast to find out and learn more. For additional general information, please read about Wichita Falls, Texas Family Law on our website. Richard Sutherland talks about geographic restrictions and relocation in Texas in this Wichita Falls divorce and family law podcast. Attorney Richard T. Sutherland practices family law and commercial litigation in Wichita Falls and all over Texas. Since being licensed by the State of Texas in 1976, Richard Sutherland has been an active member and leader in many legal organizations including the State Bar of Texas. He is a frequent speaker and continuing legal education contributor. Sutherland is an alumnus of The University of Texas at Austin and the Oklahoma City University School of Law. For information about Texas divorce and family law please call Attorney Richard T. Sutherland in Wichita Falls, Texas by dialing (940) 691-2100. You can follow Attorney Richard T. Sutherland on social media and find useful articles and resources for you and your family. Richard Sutherland is on Facebook, Twitter and LinkedIn. For a virtual library of blog articles and podcast interviews about Texas divorce and family law please visit WichitaFallsFamilyLaw.com.